On an ordinary day I might be running in to pick up a few groceries, rushing to check things off my list, barely noticing those around me. I don’t know if I looked kind (I certainly hope so) or non-threatening, but when I turned to the timid, “Excuse me, ma’am” I knew that she needed help. Seriously. Three dollars and fifty cents. Out of curiosity at such a specific and rather small request, I asked her what she needed $3.50 for. I looked her in the eyes and knew she needed much more than a bandage. She was crying. I’ve heard that before. And it pierced my heart. This woman needed help, and after a short conversation with her, I decided that I was supposed to be the one to help her. We parted in two different directions and looking back, I wish I would have at least given her a hug. Because I never saw her again. I rushed to grab my milk and bread, called my husband to tell him what I was doing so he wouldn’t worry, and headed to the checkout. But she was nowhere to be found. I checked every register. I looked in the area where she would have found the bandages. I scanned the store and waited, but she never came. There was no anger, no frustration. Only remorse. I checked out and held in the tears until I got to my car where I circled around the parking lot, keeping an eye on the entrance to the store, hoping to spot her again. God met me there in that parking lot and saw my tears as I cried out to Him. But she never showed up. It was as if she disappeared. I questioned my methods, my actions, my words. And I cried all the way home. He brought this verse to my mind to remind me that I had obeyed. My willingness and effort accomplished a purpose, in me. This was more than about a woman that needed help. It was about a busy woman who had everything the world has to offer: A home, a family, money in the bank, food on the table. And a place to lay my head. Being willing to help is one thing. Actually doing something takes time. And effort. And risk. You risk getting your heart broken. So my broken heart is full of thankfulness. When was the last time you wept for someone that you didn’t even know? Can’t remember? I would have had a hard time remembering myself before today, but this is one I won’t forget. I don’t want to forget. Compassion demands that we open our eyes. That we look for opportunities to serve. To love. Jesus set the example–over and over again, and this was a very vivid reminder for me that there are so many people in this world who need to see Him in us. Let’s be the hands and feet of Jesus. Not sometime, but all the time. Not someday, but today. 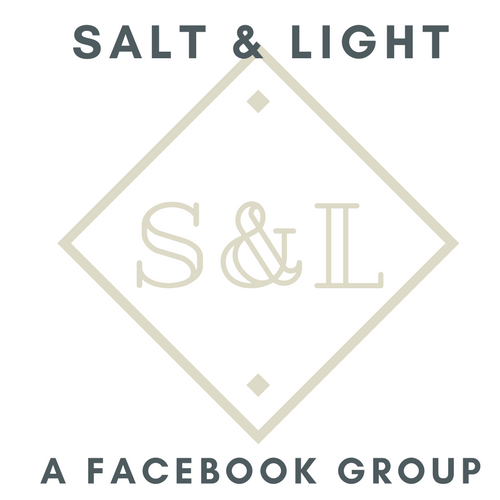 This post was shared at the Salt and Light Linkup. Have you considered the possibility that you were entertaining an angel unaware? Hebrews 13:2 My mother was once approached by a man at a gas station, he asked her to pray for him, she did, when she looked back around he was just gone and she didn’t think he could have gotten that far so fast.God just wants to know we are willing to help. This made me cry! I hear you! I pray the Father will expand my heart to be offered up in a way that brings healing, hope, and restoration! Bless you!